Let's get 2017 off to a kickin' start shall we?! I don't know about you but I always think that the start of a New Year is a great time to focus on the year ahead, and what I want to achieve. If getting better at photography is on YOUR list of things to do this year, then check out these 5 ways to level up your photography skills! Light is pretty much the be and end all in photography, as without light, we cannot make a photograph! It can simply light a scene, or it can also help mould it or even create a feeling. Not all light is the same, as we can create so many different images just by moving where we are in relation to the light. Where do the shadows fall? Are they on my subject? Are they on an area I want highlighted? If I move around my subject, will a different angle make the light more interesting? Is there an angle where it is most flattering to my subject? Although you can learn a lot about light from books and blog posts, there's no substitute for simply studying it - get your camera out at different times of day, in different weather conditions, and shoot indoor and outdoor. What happens when the sun goes away? What can you use then? Make using different light a priority in your learning "schedule" this year, particularly if you tend to use the same light all the time. Even if this scares the pants off you, I still thoroughly recommend it. I can honestly say nothing moved me faster on my photography journey than truly learning how to control my camera myself. This is because it's really hard to be creative when you don't know HOW to get the shots you want! You can go back to Aperture Priority one day, if you wish, but for now, your goal is to learn your camera, and you will do this quicker if you just leap right in and make a start. Yes, you'll mess up a few times and yes, you will miss some images, but you will get to where you want to go faster. In the beginning you are more concerned with getting your settings right than with composition, but once you feel a little bit more in control, you can start to use different compositions to take your images to the next level. If you are just starting out the rule of thirds is a simple composition to master, but beyond that you can use leading lines, shapes, negative space, golden compositions and more! You will often find that even once you master your camera, your images still feel a little lacklustre. This is particularly true if you shoot in the RAW file format (which I recommend). This is where editing your images comes in, as they can enhance your straight out of camera images and give them that polish and flair that is missing. There are a number of program on the market for editing your images, and any of these can help you make some adjustments to your images that can help turn them from drab to fab. I personally have the Photographers Bundle from Adobe, that gives you both Lightroom and Photoshop for a monthly"rental" fee, but for editing I mainly use Lightroom, and love it. You can read my reasons why here. Learning how to edit is a skill that you definitely want to add to your photography tool kit! I do want to point out that this is different than simply learning how a tool works - you need to look at WHAT your image needs, and understand WHY you might want to make a particular edit. This is something that we go into in a lot of depth in my Launch Into Lightroom course, so that you are not only learning the tools, but also how to actual make your image the best it can be. One thing I remember most about being a new photographer was how scared I was that I was going to miss something if I didn't start taking photographs right away....and keep clicking. One of the benefits of truly understanding your camera is that is also gives you the confidence to slow down and really start to look at the scene in front of you. Slowing down helps us in a number of ways. By taking time to review the situation we are trying to photograph, we can consider which settings will best show our vision, where the light is coming from and how we use use it to light our subject, and even how we can play with the elements in the frame to create an interesting composition. All of these things help us to more accurately capture what we want to say. If you want some more help about what you need to think, head over to read this post with 5 Things to Make Sure You Get Right In Camera so you can see what you should be paying attention to before you press the shutter, and you'll also be able to download a mental photography checklist right there too. Pro Tip: A fun exercise is to limit how many shots you are going to physically take of any activity (not how many you are going to keep, but how many times you are going to press the shutter) 10 is a good number for an "everyday" activity that will keep it challenging. I guarantee you will start to slow down in the process! 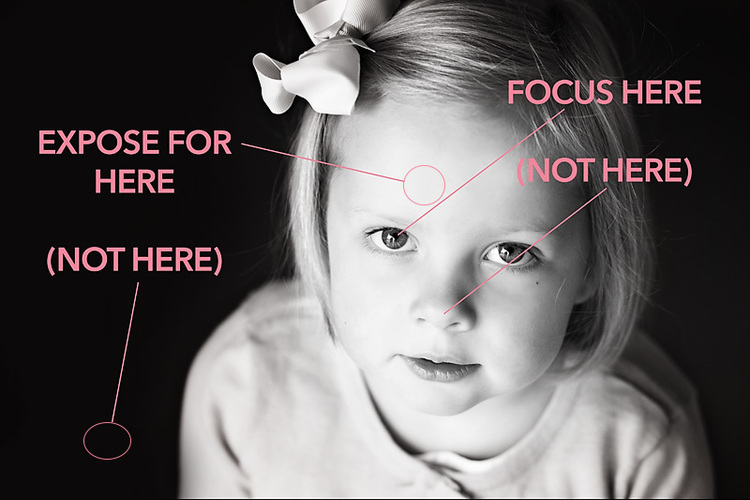 All of these five factors combined will help you level up you images and take them to the next level. Before you go, don't forget to download my manual settings cheat sheet today! If you want to make this the year you stop dreaming and start DOING - and you want to do this with a program that takes you step by step and doesn't leave out ANY component of creating beautiful images - enroll in Auto to Awesome. It will change everything! CLICK HERE TO LEARN MORE ABOUT AUTO TO AWESOME AND GET STARTED TODAY!